Guests at a strictly come Christmas themed charity fundraiser for Scotland's hospitality industry raised £16,000 on Thursday (1st December) night. 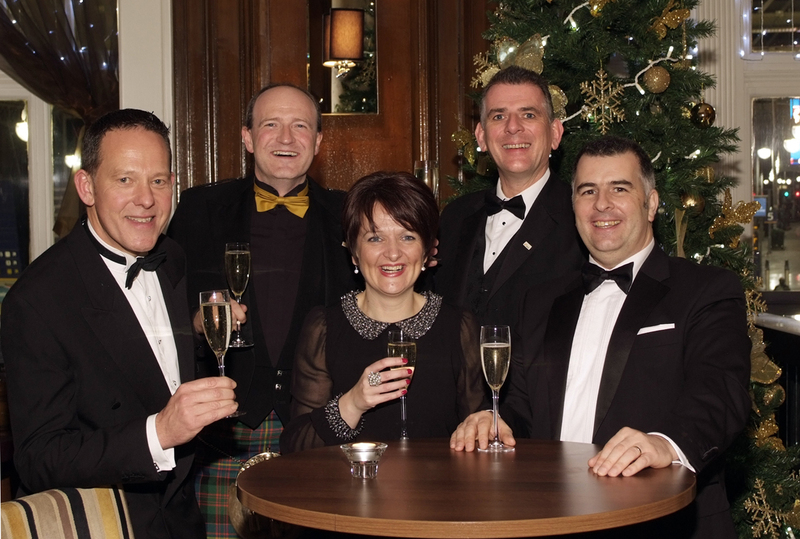 The Hospitality Industry Trust (HIT) Scotland Christmas party took place in the ballroom of Glasgow's Grand Central Hotel. Over 220 guests attended the glamorous black tie evening which included a four course meal and music by floor filling band Gangsters of Groove. BBC Presenter, Rob Matheson was master of ceremonies for the evening and a charity auction took place. All money raised throughout the event will go towards HIT Scotland's emerging talent scholarship programme to raise aspirations and develop talent within the industry. Stephen Murphy, chair of the organising committee and Brakes Fresh Ideas, said "The evening was a great success. It was great to see so many people coming out to enjoy the company of fellow hospitality professionals ahead of the Christmas rush." As well as the Grand Central Hotel, the 2011 Christmas party was supported by Gleneagles Hotel, Bibendum the wine merchant, McGhee’s Family Bakers, City of Glasgow College, Black Bottle Whisky, Blue Parrot linen, Marvelus Audio/Visual, I AM Jewellery, John Watson Printers, Santander Foundation and Flawless Images. HIT Scotland raises money through events like the Christmas Dinner and through the support of big names in the industry including I am Clothing Solutions, Highland Spring, Robert Wiseman Dairies, Caterer.com, Enterprise Rent a Car, Phillips and Brakes Fresh Ideas. HIT Scotland's next event, their annual Emerging Talent Conference, will take place in the Glasgow Science Centre. The event will include speakers and workshops to inspire and the announcement of HIT Scotland's 2012 scholars.